A new IMF working paper investigates the relationship between economic growth and job creation in developing economies with a focus on low and lower middle-income countries along two dimensions: growth patterns and short-run correlations. Analysis on growth patterns shows that regime changes are quite common in both economic growth and employment growth, yet they are not synchronized with each other. 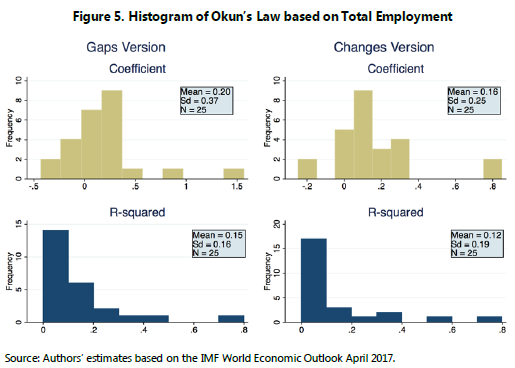 Okun’s Law—the short-run relationship between output and labor market—holds in half of the countries in our sample and shows considerable cross-country heterogeneity.